LIFE of BIM: Happy new year 2014! Happy new year! On the 1st day of 2014, we decided to give you a glimpse of Mandurah - BIM's hometown. We went to the Dolphin Quay, a vibrant place where you can find both locals and tourists. 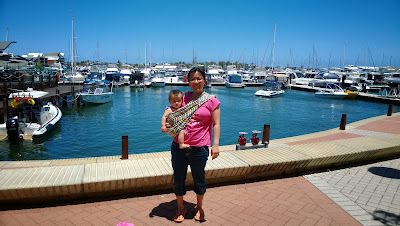 It was hot and sunny and we can see lots of boats docked in the marina. 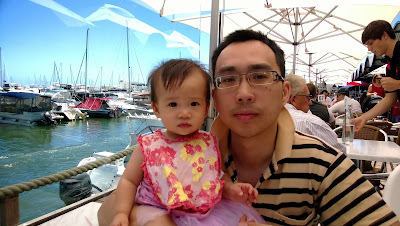 Daddy craved for fish and chips, so we went to Sharky's Mandurah, We ordered grilled fish and chips, and we were satisfied with the quality of the food. 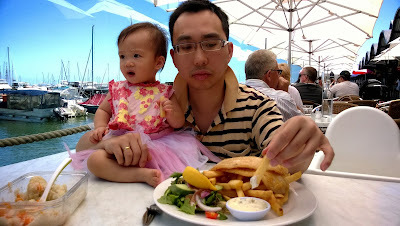 The fish was fresh and it literally melted in our mouth, whereas the chips were crispy and not too salty. BIM ate a few fish & chips too, mixed with baby food. 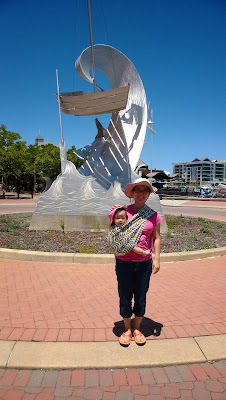 Alright, we hope to share more about Mandurah next time. Stay tuned!